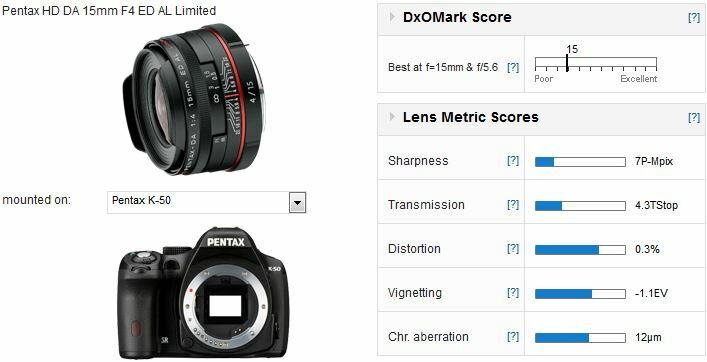 There can be few lens series that are so highly regarded by their users than the Limited range of primes from Pentax. Not only are they well made but the images they produce have a distinctive descriptive quality, or ‘drawing style’, that makes particularly attractive to serious enthusiasts. As a revision to the previous smc version the new HD model has rounded iris for smoother transitions to out-of-focus areas and it has new coatings for improved transmission and color while also lowering flare and ghosting from internal reflections. The optical design is unchanged but utilizes extra low dispersion glass and a hybrid aspherical element for lower chromatic aberration and improved sharpness. With a horizontal angle of view of 76-degrees, this particular AF-equipped model is comparable to a full-frame 23mm and yet measures just 1.6-inches (40.6mm) in length, has a 49mm filter thread and weighs just 6.7 oz (190g). It’s available now for $699. 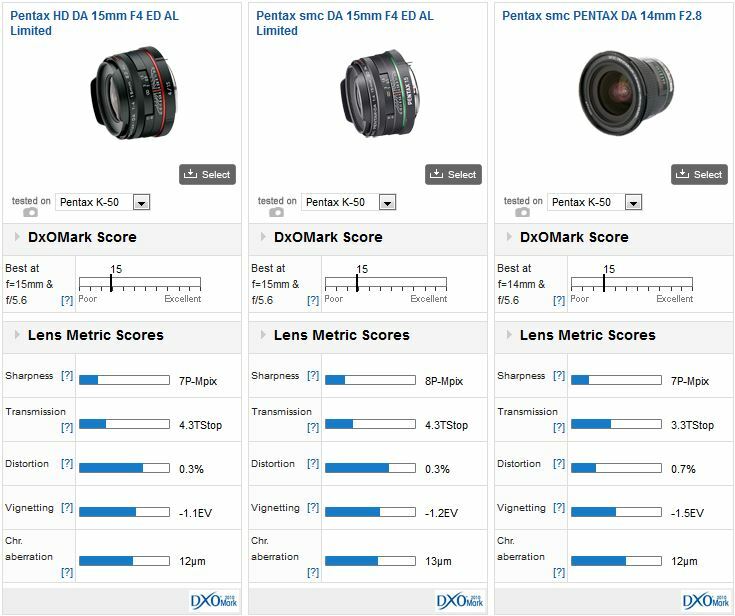 An overall DxOMark score of 15 points is a little on the low side but the lens is well corrected for distortion and vignetting. Peak sharpness is also on the low side at 7P-Mpix, which is a little discouraging, at least on the 16-Mpix K-50. Sharpness wide-open is a little low in the centers while edge sharpness is lower still. Stopped down one stop to f5.6 though and sharpness improves dramatically, though the edges and periphery remain less impressive. However, image sharpness doesn’t really improve on stopping down further, there’s nothing to be gained except depth of field, while some chromatic aberration may still be noticeable in the outer 50% of the field. Compared against the now discontinued smc version, and the $949 high-speed 14mm from the firm, the results are very similar, but the new version shows some slight improvements in labs, even if they might not bee noticed n in real world use. All three have slightly low sharpness at f4 but at f5.6 onwards the trio perform very similarly – each exhibits good center sharpness but with slightly lower edge performance. As you might expect the 14mm is faster – it has +2/3 stop advantage in transmission (at maximum aperture only) not a whole stop, but the new HD Limited has lower distortion and slightly better control of vignetting at f4. 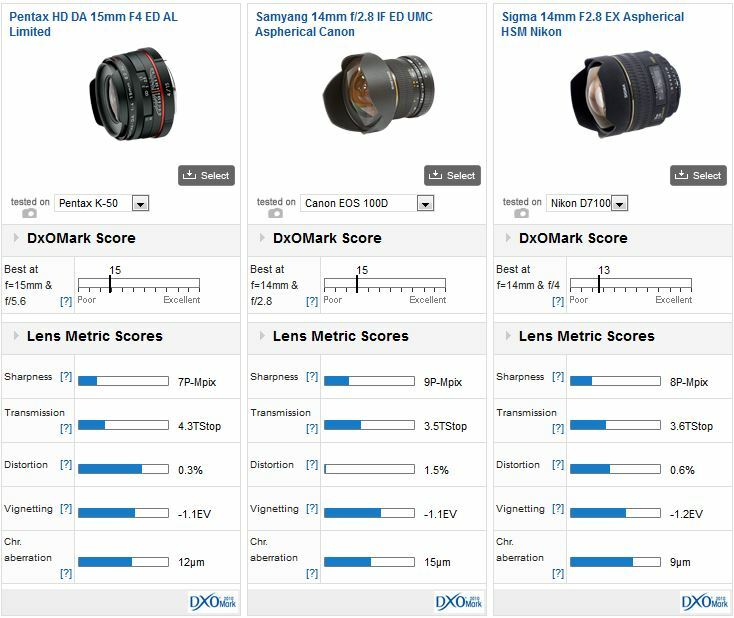 We were curious to compare new lens with similar focal lengths from two independents – Samyang (sometimes branded as Rokinon in the US) and Sigma. Both can be found with Pentax mounts and although the Sigma is being phased out it can still be located on retailers’ shelves at $599. Besides the modest $299 price, the full-frame Samyang is notable for its sharpness. At f2.8 it still only has moderate sharpness but at f4 it’s good although lower at periphery. Peak performance is at f5.6 with f8 being very similar to f4 in sharpness levels and uniformity. However, the Samyang has very noticeable distortion that’s not easy to correct. The Sigma on the other hand has good central sharpness at f4 but with notably poorer corners – and has slightly worse edge sharpness than the Pentax at f5.6-8. Although billed as revision it’s still slightly disappointing perhaps that the improvements aren’t more readily noticeable. 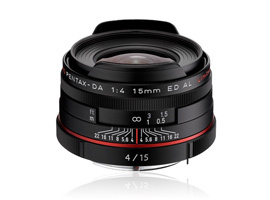 Be that as it may, even with a small premium the Pentax HD DA 15mm f4 Limited remains just as a compelling as the original and is well worth a closer look.